​Working with the nearly dead helped them become newly wed; Thom and Tresta Neil met while working at a nursing home. Thom is from New Hampshire and served a LDS mission in Italy. Tresta is from New Mexico and served in the Netherlands while Thom waited for her. They don’t subscribe to the television adage, “Eight is Enough” with their many birthed, married and borrowed children. Thom was the first to bring up the idea of homeschooling, Tresta thought he was mad! Twenty-two years later they are successfully homeschooling through births and deaths, liver transplantation, addiction recoveries, conferences and family run businesses. Together, as owners of Keystone Connections and the directors of several homeschool conferences, they are nationally sought after authors and presenters. Their uniqueness is seen in the stories of Thom delivering half a dozen sets of twins as a teenager, Tresta sitting on a cactus and their first kiss over the alter. 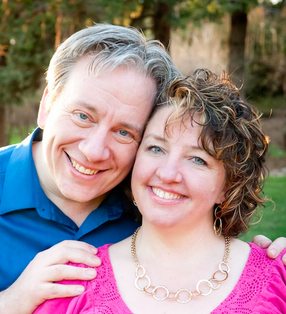 Thom and Tresta currently live in Orem Utah where Thom is a trainer and mentor in technology, personal marketing and relationship enhancement. They are the founders ﻿and﻿ owners of Keystone Connections and Keystone Education, where they provide resources and opportunities to the LDS homeschool community. Tresta is the author of The Theology Tree, God Saw That it was Good and The How to Discover (numerology) series. She also teaches online courses in symbology, constellations, numbers and the Key Pattern of Learning. Their passions are teaching and sharing the homeschooling message. Thom enjoys languages, music, theater and scouting, Tresta enjoys hiking, traveling, natural healing and learning and teaching symbolism.﻿﻿﻿﻿ Currently they both serve in teaching position in Primary, Sunday School and Scouting.